Baltimore's oldest cab company and the Maryland Transit Administration are updating their fleets for wheelchair-using customers, replacing small buses and minivans with an SUV-like vehicle that provides a smoother, more civilized ride. The MV-1 is designed specifically to transport disabled passengers and already is in use in cities such as Pittsburgh, Chicago and Dallas. Built in Indiana, it is the only production vehicle that meets Americans with Disabilities Act guidelines. Yellow Cab and sister company 1010 Sedan purchased 10 MV-1s and began using them this week. The MTA already has 10 on the road and 30 being readied for service. Eventually, the MTA hopes to convert the bulk of its mobility fleet — about 84 vehicles — to MV-1s to help serve its 23,000 customers. Although handicapped-accessible vehicles are rare on the streets, demand for them is expected to rise as the population ages. "I think they're the wave of the future," said Michael Weidger, the MTA's mobility director. But today's passengers already like the ride. "Our clients love them," said Lauren Young of the Maryland Disability Law Center. "The ride is better, they're not crammed into a van and they don't have to share a trip and make multiple stops." The MV-1 has room for two wheelchairs, two other passengers and luggage. The vehicle sits lower to the ground than a van or bus, making it easier and quicker to load and unload passengers. The model used by Yellow Cab and Sedan 1010 is dispatched digitally and features a credit card reader, said Navin Dass, the company's general manager. The vehicles cost $40,000 each vs. $8,000 to refurbish and equip a Ford Crown Victoria, long used by handicapped mobility services because of their spaciousness. A new Dodge Grand Caravan converted for wheelchairs costs up to $60,000, accessibility advocates said. "This is not, by design, a money-maker for us," Dass said. "We have been in Baltimore for 105 years and have a long-standing relationship with the city and its residents. We're the industry leader, so this isn't a leap for us. It's a step in the right direction." Young said disabled people who do not drive or do not have someone to take them on errands and to appointments often are marooned. 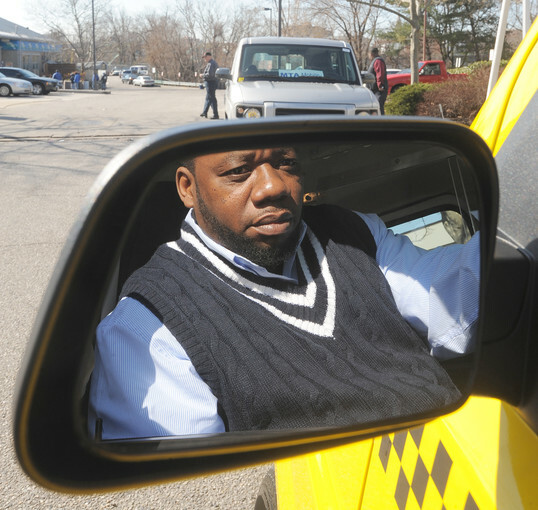 The state Public Service Commission, which regulates cabs in Baltimore and Baltimore County, does not require companies to have accessible vehicles. "If you live in an area without public transportation, what options do you have? You can't just go see friends or make a last-minute doctor's appointment or deal with family issues that crop up. There is no spontaneity," Young said. The nimble MV-1s are good for the future of handicapped transportation, she said. Miami-based Vehicle Production Group began MV-1 production in September 2011 at a converted Hummer2 plant in Indiana. The company estimates it can roll out 70,000 vehicles a year. The first vehicle went to Marc Buoniconti, the son of NFL Hall of Fame linebacker Nick Buoniconti, who suffered a spinal cord injury during a college football game. The younger Buoniconti is president of the Miami Project to Cure Paralysis and the Buoniconti Fund to Cure Paralysis. In a review last year, Motor Trend magazine said the vehicle's styling "looks like an SUV-ish riff on the traditional London cab, with a low-step-in (or roll aboard) flat floor and oodles of headroom." Weidger said MV-1s are more fuel efficient than buses or vans and are easier to maneuver down narrow city streets and alleys. Over the course of a year, he said, the full fleet of 84 MV-1s will save MTA $900,000. But the agency also will be buying about 36 mini-buses to handle demand from customers who like to travel together to events or appointments. For many wheelchair users, the MV-1 offers a perk unavailable to them for years. "They can ride shotgun," said Dass, of the space next to the driver. "For the first time, a customer can ride up front — not the back — and have the experience everyone else has."